One of the common causes of infertility is endometriosis. 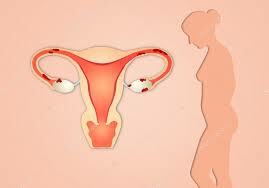 It is a complex chronic condition that occurs in as much as 10 to 15% of women in the reproductive age, usually 25-40 years old and literally represent endometrial cells (the inner layer of the uterus that is spewed with each menstruation) in the pelvic and abdominal cavity. One of the most accepted theories about the cause of this complicated and pathological condition is the leakage of the menstrual blood in the reverse direction, from the uterus through the tubes to the ovaries, the small pelvis and the organs of the small pelvis; colon, bladder, and so on. The most common symptom associated with endometriosis is pain in the small pelvis, especially during menstruation. The second most common symptom is the association of infertility with this condition, and is most commonly diagnosed in couples seeking treatment for sterility. The exact mechanism is unknown why and in which way it makes a problem with conception. When it is very widespread in the small pelvis, usually the infertility occurs due to adhesions that cause the endometriosis of the tubes (mechanical obstruction). It is also thought that ovulation is disabled, especially when the so-called chocolate cyst is formed. Inability to conceive, ie conception and implantation of the embryo is due to mediators of inflammation that are in greater concentration in these patients. Endometriosis has typical features and looks, and is diagnosed with laparoscopic visualization, and at the same time it is treated, removed or burned by lesions and chocolate cysts, which will improve the situation, but in the short term. The truth is that there is no effective remedy that once and effectively leads to the treatment of the pathological condition. Prevention is achieved to some extent by oral hormone contraception. The patient with diagnosed endometriosis is also advised of alternative ways to improve the symptoms especially for pain control (acupuncture), as well as a nutrition program that will help a lot in reducing pain and in improving fertility. Endometriosis exhibits its symptoms through inflammation mediators; therefore, when diagnosed with this condition, an anti-inflammatory diet is recommended, avoiding red meat, especially fat, egg yolks, white sugar (in particular, the intake of carbohydrates with a high glycemic index should be controlled) . The best representative of this type of diet is the zone of the diet, which is essentially the design of individual programs for each patient, depending on the condition, the lifestyle, the discovery of the cause of the symptoms, and thus the avoidance of those products. Something beneficial to these patients is green tea, which in the long run reduces pain. Green tea contains an anti-oxidant that prevents the creation of new blood vessels when an eco-shaped implantation of the cells of the endometrium occurs, thereby preventing the spread of endometriosis. Also, lately, endometriosis is associated with gluten allergy and a gluten-free diet is recommended. This means avoiding all wheat products (bread, pasta, etc.) for 4-6 weeks, when the bloating (characteristic of endometriosis) and pain in the small pelvis should be significantly improved. Also, as much as it can be avoided xenoestrogens (chemical substances that are imported from the outside, and in the body behave like the hormone estrogen, but with much stronger effect). They have them in pesticides, herbicides and plastic bottles. Never buy when the product is firmly wrapped in plastic packaging. Physical activity is just as important for alleviating endometriosis as it is important for treating polycystic ovaries. In addition to the well-designed anti-inflammatory diet in long-term traits, dietary supplements are also recommended: Omega 3 fatty acids (high doses 2×1000 mg minimum), Primrose oil of 1500 mg (2 times a day). Vitamin C and vitamin E, zinc and B6, which control prostaglandin balance and have anti-inflammatory effect, high doses of B complex (to improve the absorption of essential fatty acids), magnesium at a dose of 200 to 600 mg per day (almost all women with endometriosis have proved a deficiency of magnesium) and the amino acid L-Metionin in the dose and 500 mg per day because it stimulates the detoxification of excess estrogen in the liver. Endometriosis is a complex gynecological condition that should be treated by a gynecologist specialist who is trained and educated in diagnosing and treating this condition, and which of course will give a wider picture of the treatment of this condition. Which vitamins needed by men for healthy sperm?